Ceta-Base lists four transfers of captive born beluga whales to SeaWorld from 2006 – 2008. Each one of these whales was the direct descendant of a wild-caught Russian beluga. 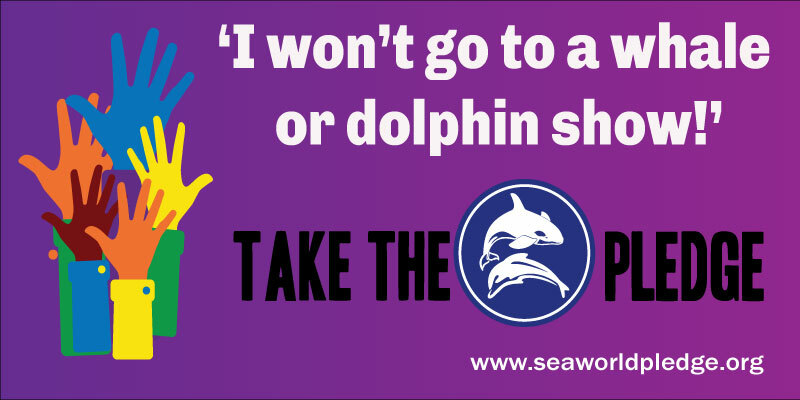 So in yet another case of the classic ‘shell game’, it is proven once again that SeaWorld supports the wild capture of cetaceans worldwide. It may not surprise you to learn that the inventory of Vancouver Aquarium’s belugas are coincidentally also at SeaWorld right now. SeaWorld and Vancouver Aquarium may fool Richard Branson, but they’re not fooling us. The need for genetic diversity in the breeding programs of all cetaceans can only be satisfied by the continuing supply of fresh caught Belugas, still dripping in ocean water. Marineland seems more than happy to be the fall guy for the more public Aquariums as long as there are profits in doing so. I should point out that Marineland Canada owner John Holer sues virtually everyone who writes anything adverse about him or his Aquarium. By mid 2013 several multi-million dollar lawsuits had been filed against whistle blowers, activists and the Toronto Star Newspaper. My advice is that if you value this post copy and paste it somewhere, in the event we are forced legally to take it down. 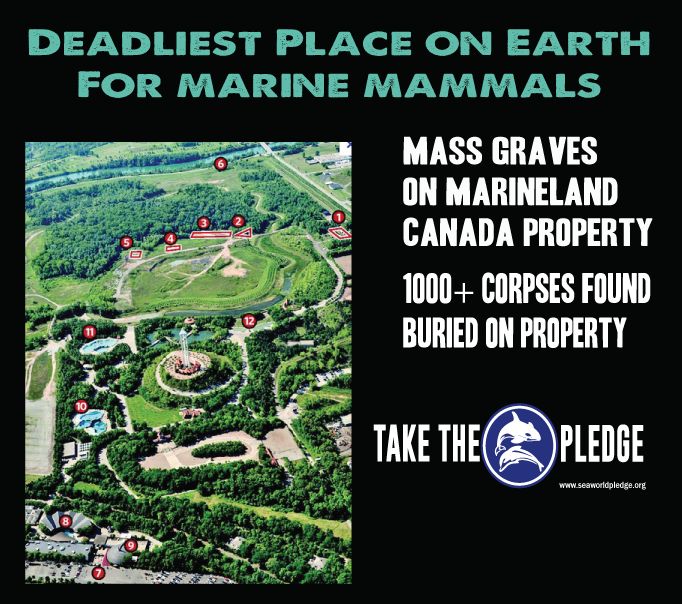 The lid came off of Marineland when it was revealed that four mass graves, two of them containing “more than 1,000 animals” had been found on the property. 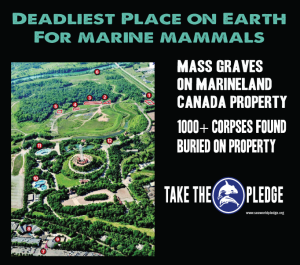 These graves contained the corpses of whales, dolphins, sea lions, seals and walruses, as well as bears, bison, deer, and other animals which the provincial Environment Ministry had no idea existed, as the park had not sought any permits for them. Ann Marie Rondinelli, a Marineland spokesperson commented at the time in an email: “One of life’s sad truths is that animals sometimes die in zoos, just as they do in the wild.” While that may be true, the death toll in such a short amount of time is perhaps the worst in history. That death toll of cetaceans includes at least 20 belugas, 22 of the aquarium’s known 33 dolphins, and at least 12 orcas. Soon after, a reporter for the Star began an investigation. While looking for an inside source for the story, the reporter leveraged MarineLand’s Phil Demers, former senior marine mammal trainer, first of many whistle-blowers and recent defector. Demers told the story of the death and burying of the killer whale Kandu in December 2005 and how he was told two weeks later to dig up the orca because during the necropsy, they had failed to obtain brain tissue samples. Demers was quickly joined by other ex-trainers and supervisors, and in the end nearly 15 former employees contributed to telling the story of Marineland. It is one hell of a story. Holer was charged and fined $10,000 for illegally importing dolphins into the United States. Holer leveraged relationships with then Niagara Falls Mayor Ted Salci and used his wife’s name as a shell corporation to purchase land from a known adversary. A tax assessment, which wasn’t favorable to Marineland, resulted in the local government changing the law to give him a tax break. Holer was acquitted of careless driving after he sent a protester to the hospital by striking him with his truck. 47 families were displaced in a mass eviction of a trailer park owned by Holer to expand Marineland. One resident committed suicide in her home on the day of the eviction. SeaWorld cited poor conditions in order to recall Ike back to the U.S. who they said was there on a ‘breeding loan’ but Holer contended was a permanent transfer. In another altercation with a protester, Holer was videotaped threating to ‘cut his head off’. Perhaps the most shocking event occurred in 2010, and led to the article that got The Star sued by Holer. The article stated that a neighbor’s young dogs reportedly went on to Marineland property where they were outside a fence that enclosed the zoo’s deer. There they began barking at the deer. An employee alerted Holer and volunteered to call the ASPCA; Holer instead shot both dogs and instructed the employee to put them in the freezer with the other dead zoo animals awaiting burial. Even with eyewitness reports, the police failed to prosecute citing an exception in the statute regarding discharge of a firearm on an ‘agricultural property’. The Aquarium was not zoned any such property. In another case that made headlines, Holer shot a deer in the throat and let it bleed out because a vet was not available to euthanize the animal. Holer has imported hundreds of cetaceans from wild capture into Marineland. There those animals die from a variety of causes, and certainly do not live for long. As in the case of SeaWorld, he leases land from the City, and in many cases receives preferential treatment. Although a source tells me that Holer and SeaWorld are not on good terms at this time based on the lawsuit over Ike, it remains to be seen what olive branch SeaWorld may extend if in fact they can not find any other way to extend their breeding program. As Marineland has 43 belugas and SeaWorld may have exhausted their options for getting permits to import any more, Holer may have all of the bargaining power. What happens to Ike, who was once a bargaining chip in a 3 way international trade proposed between SeaWorld, Loro Parque, and a failed project in Dubai remains to be seen. A bull orca is a valuable orca and SeaWorld has no qualms about ‘conditions’ when it comes to sperm donors, as witnessed by the story of Kshamenk. In September 2013, it was reported that the Ontario College of Veterinarians was investigating an unspecified number of Marineland veterinarians. John Holer is 78 now, and his only natural son is already dead. It seems that the clock is ticking on him personally and the lives of so many animals at Marineland. Many people like Phil Demers are working hard to stop Holer and Marineland. It is only a 25-minute drive from Buffalo, New York to Marineland, and certainly U.S. tourism keeps this place open. Meanwhile, the connection between the black sea, Canada and the U.S. for wild caught cetaceans doesn’t take a 6-month ‘Engagement Process’ to sort out. This worldwide industry is led by SeaWorld, engaged by the Vancouver Aquarium and Marineland, and hundreds like them overseas, which funds the capture of cetaceans worldwide. A collection of 9 videos about Marineland is in the following playlist . Phil Demers continues to work on behalf of the animals at Marineland. He has a petition posted here with almost 100,000 signatures which asks Canadian Premier Kathleen Wynne and the Government of Ontario to “to pass a new law that will regulate a high standard of care for animals in aquariums and zoos, and will provide an opportunity to close places like Marineland when they don’t comply”. 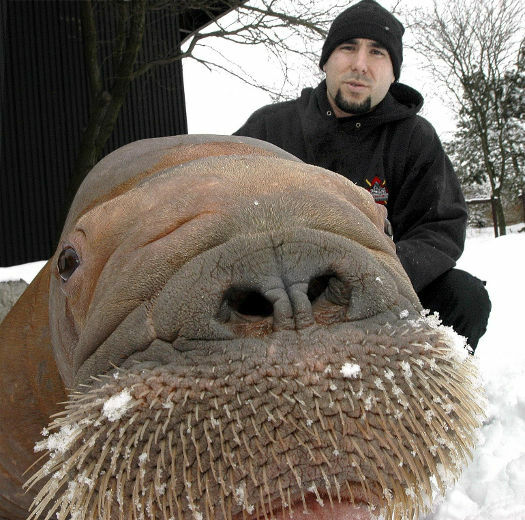 His Save Smooshi website with Christine Santos and Jim Hammond has more information on their cause. As pointed out by a commenter below, the author does live in the U.S. and innately incorrectly referenced ASPCA, which more accurately should have been OSPCA. As always, I would be happy to discuss on Twitter. You can find me by CLICKING HERE.